Rate refinancing is a versatile instrument of monetary regulation used for multiple payment transactions of business life. The ability to calculate interest at this rate is especially important in civil law relations. • The tax base from income from savings percentage under the credit agreement, calculated as the difference between 2/3 rates of refinancing and the amount of interest on the loan. • In civil-legal relations if either party fails to fulfill obligations under the agreement, the other party has the right to charge interest at the rate of refinancing in the amount of the debt, unless otherwise provided by contract. In the last of these cases the need to calculate interest at the rate of refinancing occurs most frequently. For this you need to clarify 3 things. First, the current size of the rate of refinancing. Second, the number of days allowed by the contractor of delay. Thirdly, the exact amount of incurred debt. The current rate of refinancing can be viewed on the website of the Central Bank. 3. 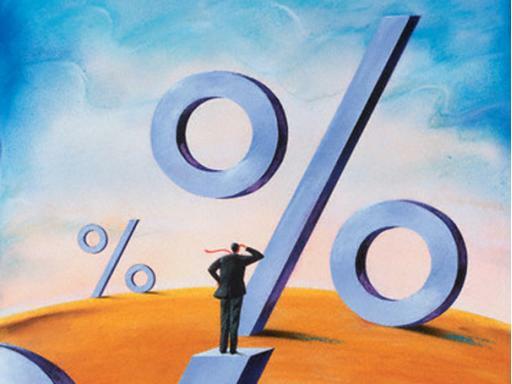 The resulting percentage and multiply by the amount of debt.